Attorney General Mark Herring on Friday filed a motion saying Virginia will appeal a federal judge’s ruling that vacated four life sentences imposed on convicted sniper Lee Boyd Malvo. 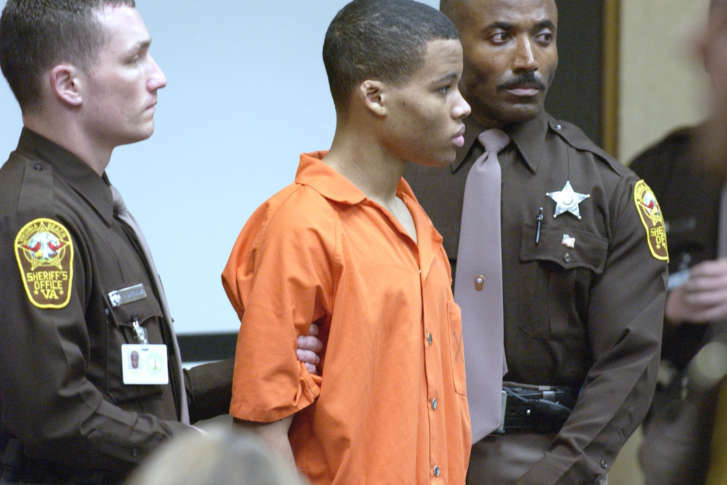 WASHINGTON — Attorney General Mark Herring on Friday filed a motion saying Virginia will appeal a federal judge’s ruling that vacated four life sentences imposed on convicted sniper Lee Boyd Malvo. In a motion for stay pending appeal, the attorney general alerted the U.S. District Court for the Eastern District of Virginia that he would appeals its May 26, 2017, ruling that Malvo should be resentenced for a 2002 Fairfax County murder, as well as a murder and shooting in Spotsylvania County to the U.S. Court of Appeals for the Fourth Circuit. In 2003, Malvo was convicted of the murder of Linda Franklin, in Falls Church, during a trial in Chesapeake, Virginia. In addition, Malvo pleaded guilty in Spotsylvania in 2004 for the murder of Kenneth Bridges, and the wounding of Caroline Seawell. Malvo was sentenced to four life sentences in Virginia — two in the Franklin murder, and one each in the Spotsylvania shootings. In the court filing, Donald Jeffrey, III of the attorney general’s office limited his arguments to the Spotsylvania County shootings, although any pause would likely also affect the Fairfax case. Jeffrey said the ruling to vacate Malvo’s sentences by U.S. District Court Judge Raymond “incorrectly expands the parameters” of the Supreme Court’s rulings that prompted the judge to order new sentences. In 2012, the Supreme Court ruled mandatory life sentences without the possibility of parole were unconstitutional for juveniles. In 2016, the court determined the ruling should be applied retroactively. The attorney general’s office argues Malvo’s sentences were not mandatory. In addition, Jeffrey said the brutality of the crime was properly taken into consideration in the original sentence of life. On June 15, Malvo’s attorneys will argue for a new sentence in Montgomery County, Maryland, where he pleaded guilty to six murders, and was sentenced to six life sentences. The arguments in the Maryland case are largely the same as in the Virginia case. In requesting the stay, Jeffrey says Malvo will not be harmed by a delay, since he would still be held in prison because of the life sentences in Maryland. In concluding his motion, Jeffrey argued ordering new sentences would not be in the public interest.